We played some Poolside Blingo this week. Lamented boards and all! 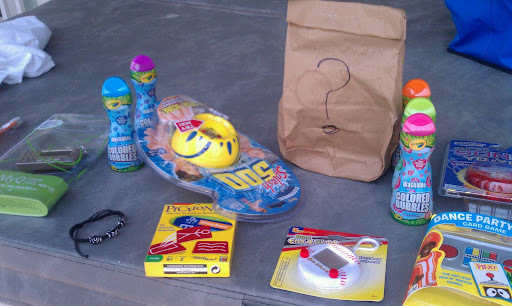 Prizes are a must - I picked up a few goodies here and there for $2.99 or less. The mystery bag which drew much interest from my kids and their cousins was filled with magic trick items.